We have had showers in many areas but some spots are dry now. 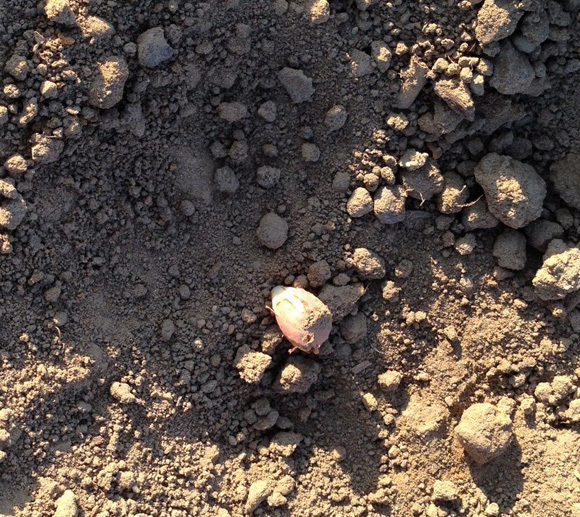 Where dryland peanuts were planted in moist soil they are losing moisture fast with the recent hot, windy conditions. 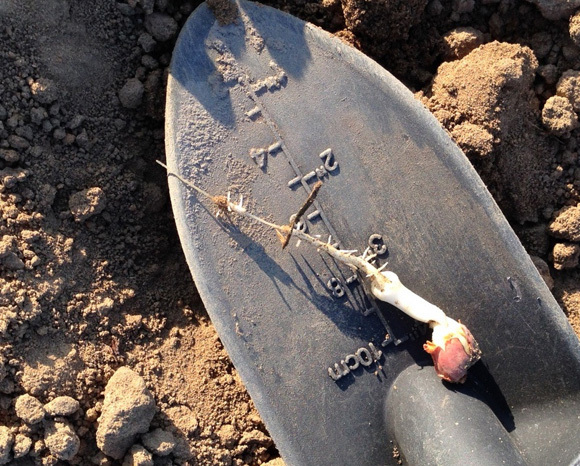 You can see where I dug around this young peanut and it was dry all around it towards the soil surface, but fortunately enough moisture remains below it for continued emergence and growth. Planting will have to wait in some dryland fields until we get some rain in those dry spots. There were areas in this field where a few seeds didn’t get enough moisture to germinate and hopefully they will wait on a rain, but there are a few rotting.